A LIGHT Fairy Ritual Deck from Konami’s instructors, designed to summon high Rank Machine Xyz Monsters. A “Star Seraph” + “Cyber Angel” Deck that aims to Xyz Summon using “Number 27: Dreadnought Battleship Dreadnoid” from Collectors Pack 2018. By destroying a monster that was Special Summoned to your opponent’s side of the field by battle, with “Number 27: Dreadnought Battleship Dreadnoid”, you can Special Summon a Rank 10 or higher Machine monster. For the Xyz Material of “Number 27: Dreadnought Battleship Dreadnoid”, use “Star Seraph” monsters that can rapidly assemble on the field. 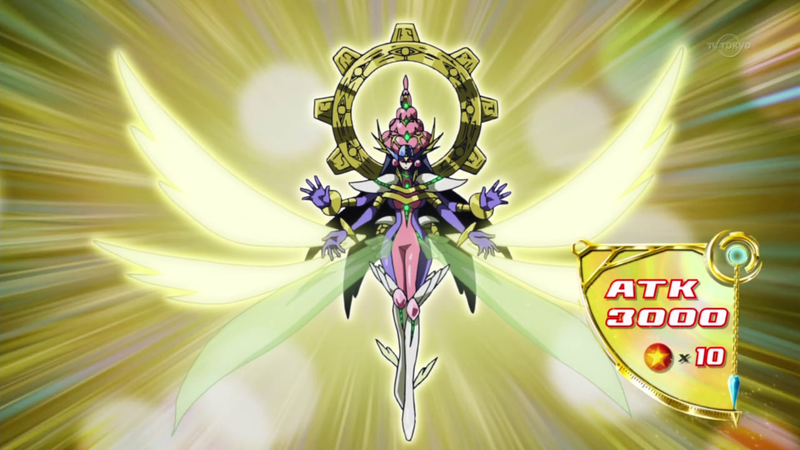 “Star Seraph” monsters are LIGHT Fairy monsters, meaning if “Cyber Angel Benten” is Tributed, you can add them from your Deck to your hand with their effect. “High Cupid” can be Special Summoned from the GY with the second effect of “Rital Sanctuary”, and by raising its Level 3, you can use it for Rank 4 Xyz Summons as well as a Tribute for Ritual Summons.